A local authority that has maintained a “clear focus on prioritising support, including financial resources” for vulnerable children has been praised by Ofsted for its “skilled” workforce, effective frontline management and effective partnerships. 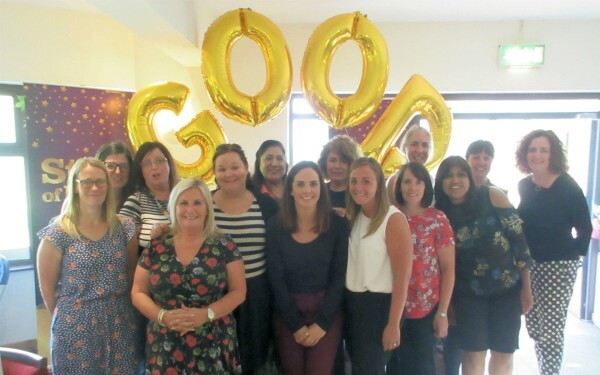 Bolton council’s children’s services was judged to be ‘good’ for its overall effectiveness in its latest Ofsted inspection, published last month. The council was praised for its “skilled” social workers supporting children in need with “timely and effective services” – with a nod to frontline team managers and their role in supporting staff in purposeful and effective work. Meanwhile “children who are identified as needing to be in care are swiftly assessed, with effective assessments and evidence-based decision-making”. “The skill and experience of first line managers is recognised and highly valued by social workers and is a key factor in contributing to the experienced and largely permanent workforce,” Ofsted judged. Assistant director of children and families Bernie Brown told Community Care that the council’s “valued” team managers are brought through the organisation, with careful succession planning. “They have opportunities to train, to be more reflective and we’ve engaged them in a broader ongoing management [strategy] that brings team managers, policy and performance teams and commissioning teams together. We’re training as a system, using a quality performance focus around how we improve what we already do,” she says. “The staff have high caseloads, I can’t dispute it, and they have them across the country. The difference in Bolton, and what was articulated by social workers to the inspectors was that [they] have a high caseload, but [they] feel they can manage it safely and effectively, because they are well supported, have regular supervision that is meaningful, and an organisation that doesn’t run a blame culture. Ofsted praised Bolton’s social workers for their creativity in direct work with children. “Social workers build effective relationships with families and ensure that the voices of children inform their work,” inspectors said. Brown says the council’s social workers give children a range of options in telling their story with many tools, including interactive programmes on laptops. She adds that Bolton operates a strengths-based model termed the Bolton Family Approach. She adds that Bolton council is investing in Life Story training for staff “because we need to assist children in making sense of their journeys but also we need to give staff opportunities, not to just stand still in practice. The challenge at every level in the service, including myself, is ‘what’s your CPD, what does it look like and how useful is it’?”. Inspectors highlighted the political and corporate support children’s services receives, saying that Bolton has “systematically responded” to the improvements identified in its 2014 inspection, when it was judged as ‘requires improvement’. “Investment in services for children is prioritised by the council in the light of its own accurate self-assessment, in response to the issues they have correctly identified,” it said. Brown stresses that the council’s consistent investment in children’s services is one of its strengths. “The council hasn’t – in the context of austerity – cut from children’s services. I think the success of Bolton is because social workers, managers and the leadership agree, across the corporate centre, that we want to make a difference for vulnerable people. She cites the council’s relatively new leadership team – herself in post for seven months – as having a “sustainable vision for the future of how we are going to enhance the services for children and families in Bolton, through a variety of improvement work in the context of being good, because this is an evolving journey”. Ofsted said improvements were necessary to the council’s early help services – though it acknowledged a review is underway – and its capacity to support children and families affected by domestic abuse. Inspectors did note the “well-established” partnerships across all the agencies. “Formal arrangements exist to challenge and develop relationships, leading to a shared and cohesive understanding of priorities and actions. The board is aiming to align both its children’s and adults’ safeguarding boards alongside its community safety partnership. The strategy, Brown says, will incorporate “thematic sub groups across those three boards, and some cross-cutting approaches to areas like domestic abuse, harmful practices, all age neglect and early help. It’s just about being a bit smarter about our planning and our strategic intent, as a council, but also as a partnership”. All credit to the Bolton Social Work teams, it is heartwarming to hear a positive report in respect of children’s social care. It is widely acknowledged that this is a very challenging role with social workers juggling heavy caseloads. Good management support is crucial not only for the staff themselves but to the vulnerable families they are there to help. Our experience has been very negative, with management not fit for the role. Let’s hope that many councils can learn from Bolton’s success. Proactive, dedicated trustworthy staff are of paramount importance when dealing with vulnerable families. There is no room for unprofessional blasé attitudes. Such a welcome change to read positive well deserved, praise to a dedicated hard working team, supported by effective, hands on managers that are providing the necessary support and training for their staff working in often very difficult situations.